I sure did eat a lot while in North Carolina over Labor Day weekend. We went to the Farmer's Market and to Cook-out Restaurant (where I got a burger, fries, hushpuppies, and a cheesecake chocolate chip milkshake- all SO GOOD) on Sunday morning/afternoon before my friend's wedding that evening! I don't have a picture of anything...except the wedding food, which was amazing. I mean, I salivate now just thinking about it. The couple got married at La Residence, a restaurant with a fantastic layout. Um. My husband will be making the smoked mac & cheese for me this weekend. I am going to let him know that now. Hi! 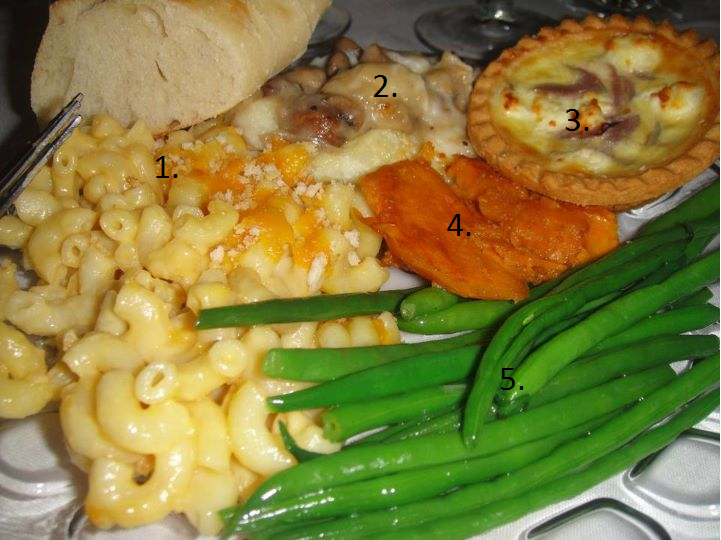 Just blog hopping through when saw your picture - That smoked mac & cheese looks divine. I am jealous that you got to eat it! Looks delicious! I love cooking! I saw you through ropcorn's BlogHop posting on Blogfrog. Welcome to blogfrog. I am a new follower of your site. I hope you will stop by my blog soon, and hopefully you will find it worth following. With cooler temperatures setting in, that mac and cheese would really hit the spot right now! MmmMM! I am busy hopping around this evening...follow back please @ http://www.pargasjunkyard.wordpress.com and on facebook @ http://www.facebook.com/PargasJunkyard Thanks!